Healthcare Grand Jury Subpeonas Defense Lawyer - Oberheiden, P.C. If you have received a Grand Jury Subpoena, an OIG Subpoena, or a target letter from the Department of Justice, you must contact an attorney right away to avoid criminal prosecution. Grand Jury subpoenas are powerful tools in the weapon arsenal of federal prosecutors. Not only are they intrusive by requesting fundamental corporate documents and copies of communications between individuals of interest to the government, but grand jury subpoenas are, by definition, the last step before criminally indicting the defendant. Specifically, with request to federal healthcare fraud or a conspiracy to commit healthcare fraud, it is important to remember the gravity of that offense. Healthcare fraud can be charged pursuant to 18 U.S.C. § 1347. 18 U.S.C. § 1347 makes it unlawful to knowingly and willfully execute, or attempt to execute, a scheme or artifice to defraud a federal health care benefit program, or to obtain by means of false or fraudulent pretenses, representations, or promises any of the money or property owned by, or under the custody or control of, any healthcare benefit program in connection with the delivery of or payment for health care benefits, items, or services. Penalties include criminal fines, incarceration of up to 10 years in federal prison per each count, or both. Importantly, 18 U.S.C. § 1347 does not require actual intent. Instead, all the government has to prove is that a defendant should have known that a certain behavior is unlawful. 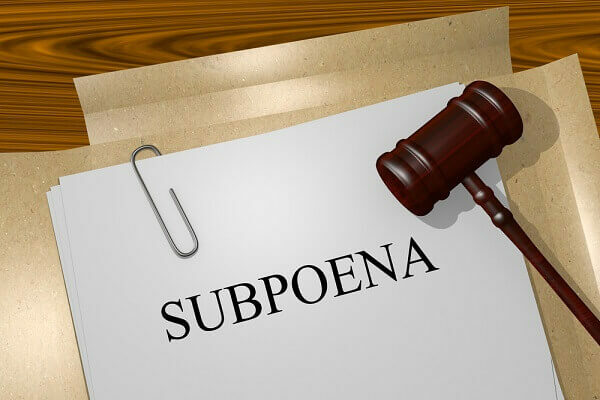 Receiving a federal subpoena does not necessarily mean that a target will be indicted. Often, a quick and sophisticated response to the subpoena can defeat criminal charges. By contrast, not responding or providing an inadequate response to a grand jury subpoena will almost certainly result in criminal charges. Our attorneys have a long and distinct track record of avoiding criminal charges in federal healthcare investigations. Avoiding federal indictments, criminal prosecutions, and incarceration are our absolute top priorities. We have repeatedly convinced the government that errors possibly committed did not call for criminal prosecution. This strategy has allowed us to conclude OIG and Grand Jury investigations against physicians, marketers, and healthcare executives without recourse to criminal prosecution. As a general rule, the sooner a potential subject or target of a government investigation receives appropriate guidance from experienced attorneys, the higher the chance to resolve the issue out of court. The attorneys of Oberheiden, P.C. are among the country’s most demanded healthcare fraud defense attorneys. Clients from across the country trust our experience when it comes to government investigations, Tricare fraud allegations, and healthcare fraud defense. Our track record speaks for itself. Dr. Nick Oberheiden (nick@federal-lawyer.com) has successfully defended healthcare executives, physicians, and pharmacies against kickback, prescription fraud, false claims, and fraud allegations before the Office of Inspector General (OIG), Department of Justice (DOJ), Department of Defense (DOD), IRS, FBI, DEA, and other agencies.